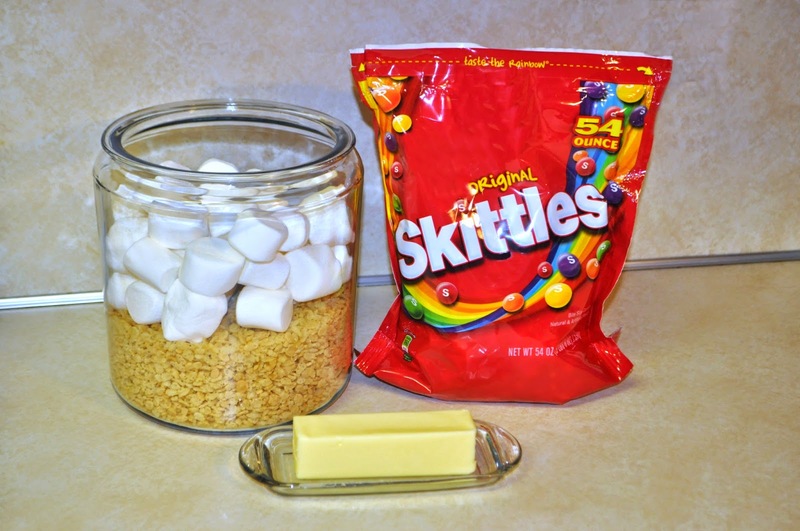 Skittles is a great treat during March basketball season and I've come up with a fun way to share them with your biggest basketball fans. 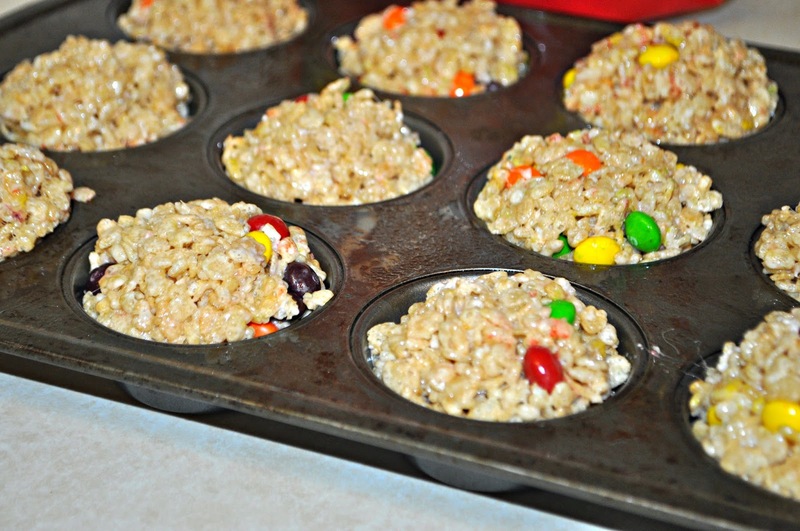 Our family loves to mix Skittles in with our favorite treats like popcorn for a fun movie or game night, so I figured---why not expand on the idea and try them in other goodies we enjoy? 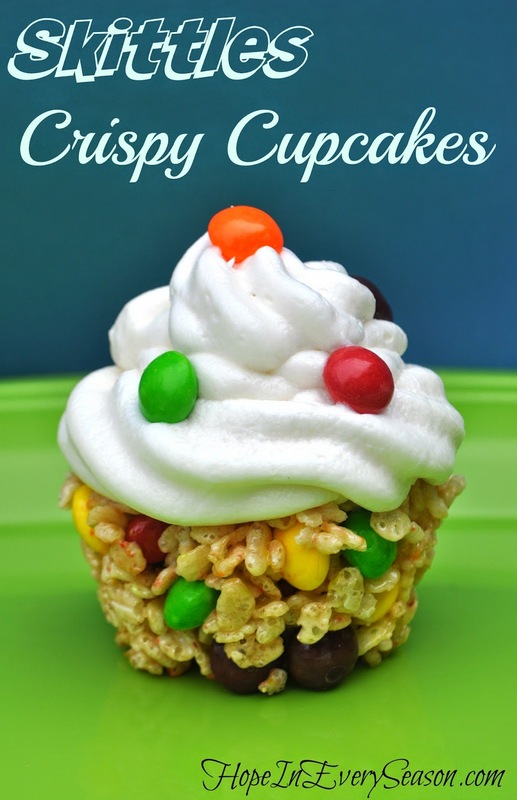 Check out my easy tutorial below for Skittles Crispy Cupcakes. We've been snowed in off and on the last few weeks, but it looks like warmer weather is about to make it's appearance. 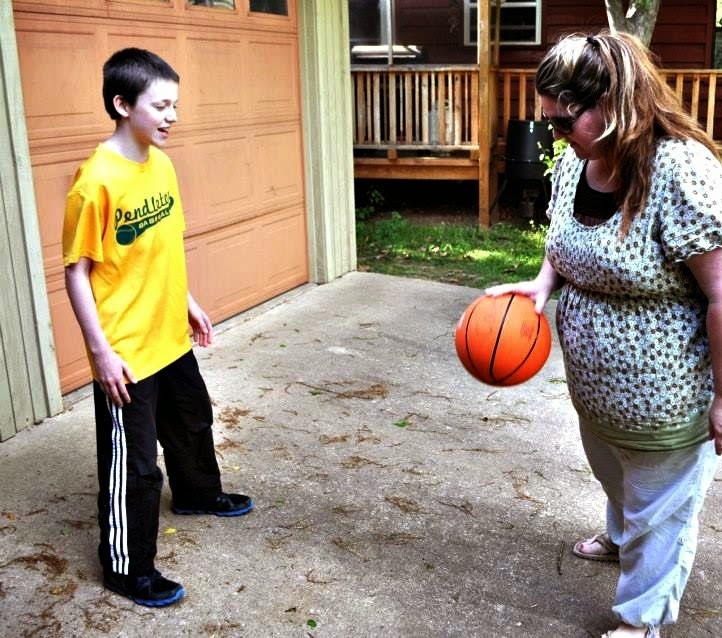 The kids can't wait to get outside and play all their favorite sports---like basketball! In the meantime, it's fun to follow the tournaments online and our family loves to make basketball sweeter with a fun treat made with Skittles. I found a pallet of 54 oz. 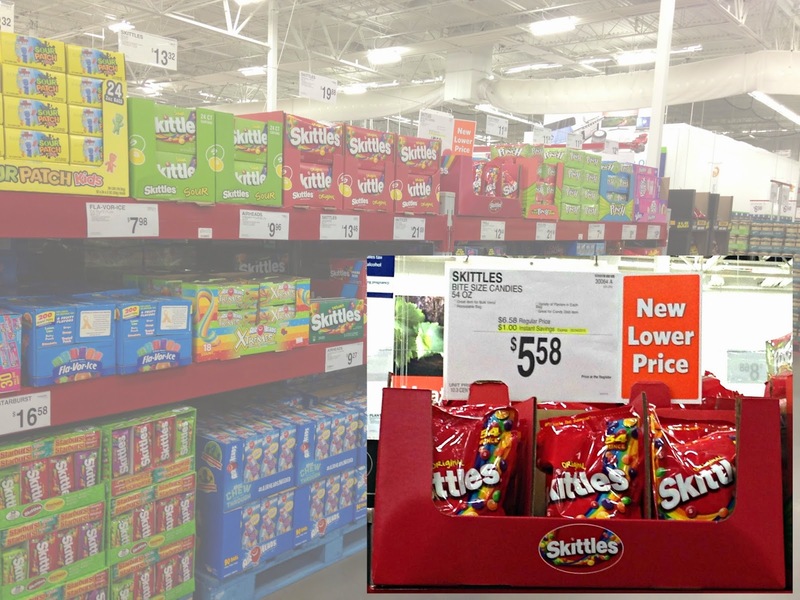 bags of Skittles at Sam's Club last week. I love buying bulk candy at Sam's Club---they've got great prices for buying large quantities. 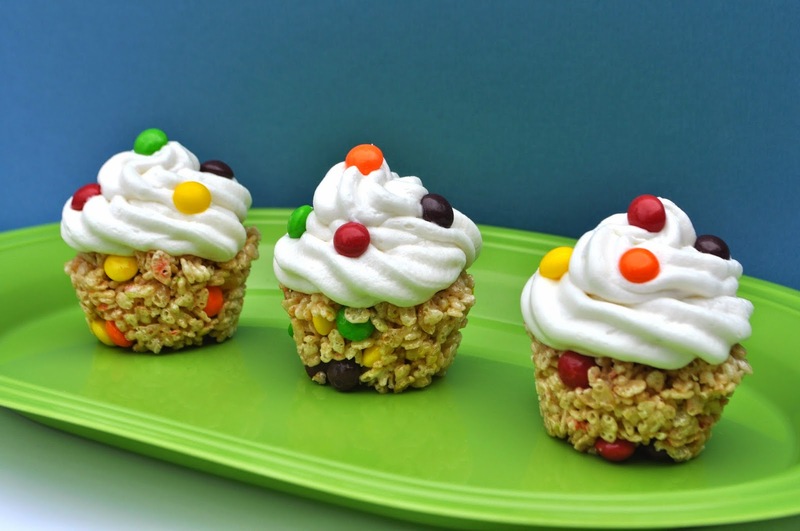 This is such a fun and easy treat and looks great on a party table. Even better, they don't crumble like cupcakes so they're way less messy! I started with simple ingredients to make the "cupcake": crispy rice cereal, marshmallows, and butter. I prefer to use real butter, instead of margarine, because there's not a lot of water or oil to make the cereal soggy. I melted the marshmallows and butter together in a saucepan. I cut up the butter so it would melt faster and tried to make sure it was coating the bottom of the pan so the marshmallows wouldn't stick too badly. I recommend using a double boiler, if you have one, to keep the marshmallows from scorching. Otherwise, just stir the whole time and you'll be fine. After the mixture was smooth, I stirred in the cereal and Skittles. I waited until the cereal was mixed in almost all the way before adding the candy. This allowed it to cool a bit and keep the colors of the candy from running. Finally, I pressed the mixture into a greased muffin tin and rounded the tops a little for frosting. I let them cool about an hour, then removed them from the tin, frosted them, and decorated with Skittles. These guys served as my photography crew so they got to be the first taste-testers. They all declared them fruity and delicious! Come on Spring! These boys are ready to quit just talking about the game---and start playing it! Let me know if you make this slam dunk treat for the basketball fans in your life. 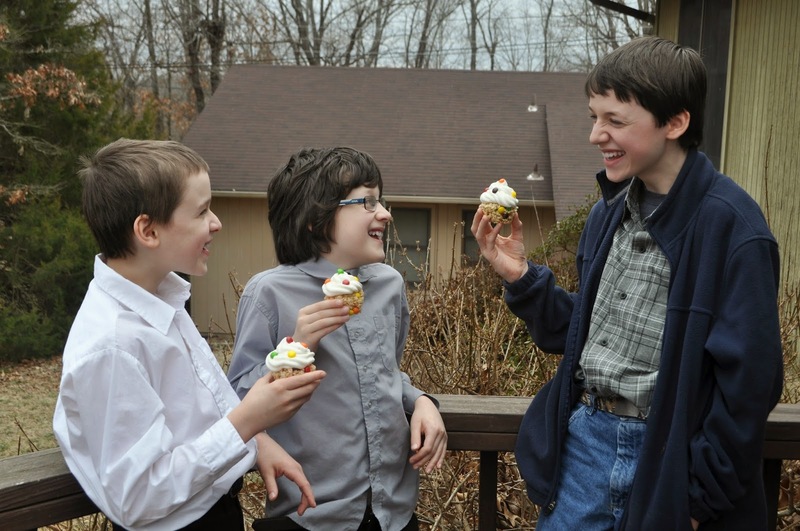 I'd love to hear how your family celebrates March tourney fun! Grease two muffin tins and set aside. This recipe makes about 18 cupcakes, so if you only have one tin, grease a small pan to press the rest of the mixture in. 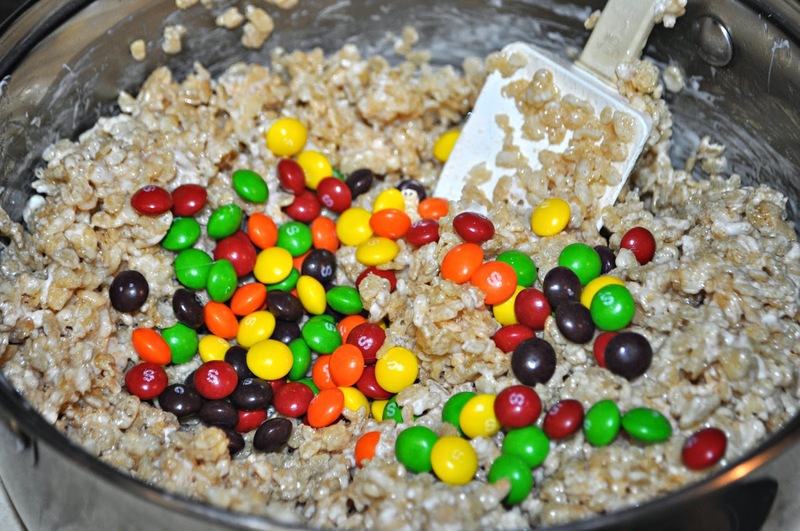 Measure cereal into a large bowl and set one cup of Skittles aside. 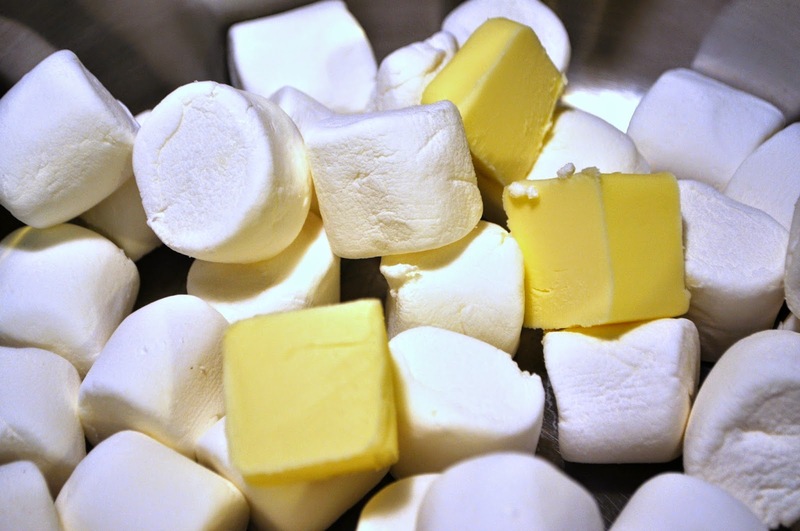 Melt butter and marshmallows together on medium heat, stirring until smooth. Pour over cereal and stir until almost combined. Add in Skittles and mix well. Press into muffin tin cups, forming a little dome on top. Let cool an hour or so, then frost and decorate. Store covered at room temperature. Check out Skittles on Facebook. Great idea... now I have to try them, also!